So, what does the band Rage Against the Machine have to do with the new Speed and Strength Rage With the Machine Jeans? Absolutely nothing at all. However, the Rage with Machine Jeans are recently updated and much improved on the original. 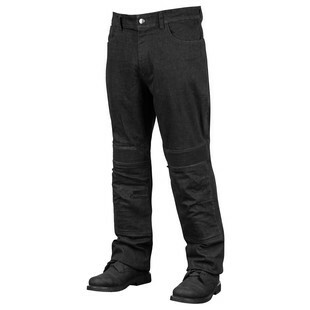 These boot cut and relaxed fit 12oz jeans now feature 1.0 - 1.2mm leather at the knees. Backing this leather up is CE armor at the knees, a seat that is reinforced real DuPont Kevlar Fiber Thread, and real YKK zippers. Topping it all off is a cool Skull logo at the hip. The Speed and Strength Rage With The Machine Jeans are ready to take on some “Bulls on Parade” with their tough construction and will have you “Testify”-ing in the name of Speed & Strength.